Pretty style and comfort gets a check plus every day with the SKECHERS Relaxed Fit®: Breathe Easy - Playground Poppies shoe. 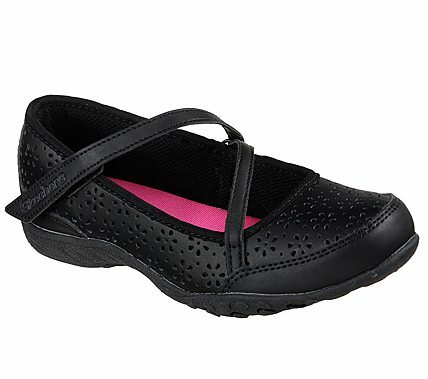 Smooth leather upper in a dress casual comfort uniform-style mary jane with stitching, perforation and overlay accents. Gel Infused Memory Foam insole.